Tim Clark has made a quick trip from Sydney to Victoria to ride Everest contender Shoals in a trial. Tim Clark has made a flying visit to put Everest hopeful Shoals through her paces in a barrier trial at Cranbourne, and the Sydney jockey has been left suitably impressed. Clark had been aboard the Anthony Freedman-trained Shoals only once before, when they combined to win the Group One Sangster Stakes (1200m) in Adelaide in May. That was the third Group One win for Shoals’ during her three-year-old season and Clark was happy with the way the now four-year-old closed off her 800m trial on Tuesday. Having her second trial this preparation, Shoals hit the line well on a heavy surface to have her nose in front in a three-way finish over Angelic Spirit and Shoals’ stablemate Santa Ana Lane. Like Shoals, multiple Group One winner Santa Ana Lane also has the $13 million Everest (1200m) in Sydney in October as a spring target. Clark said he was more than happy to make the trip to ride Shoals in the trial after being asked by the mare’s connections. 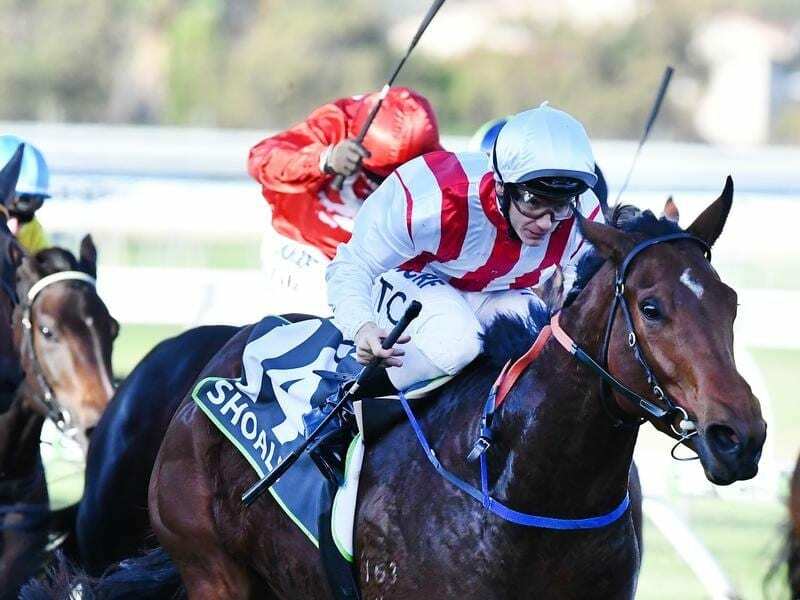 Shoals is likely to resume in the McEwen Stakes at Moonee Valley on September 8. Clark believes Shoals is capable of making her presence felt in The Everest. “She has won on all ground, all distances, from the front and from the back,” he said. Santa Ana Lane is scheduled to resume in The Heath (1100m) at Caulfield on September 1.